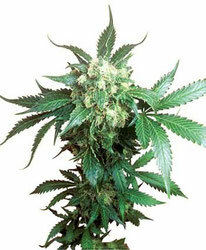 Sensi Seeds pioneered the cannabis seed industry in 1985. Today, the company is the world’s largest cannabis seedbank with over 500 varieties. These genetics and the brand name have become true classics in the cannabis community. The Dutch government chose Sensi Seeds genetics to develop the medicinal cannabis supplied by pharmacies. The Original Seeds Store work closely with the Worlds Greatest Breeders and are well know for offering the cheapest seeds online in standard pack sizes of between 1 and 30 seeds. Now, we are able to pass on huge discounts to our bulk cannabis seed customers when you buy 25, 50,100, 150, 200, 300, 500, cannabis Seeds or more from our special collections listed below. -» How to Make Cannabis Oil?